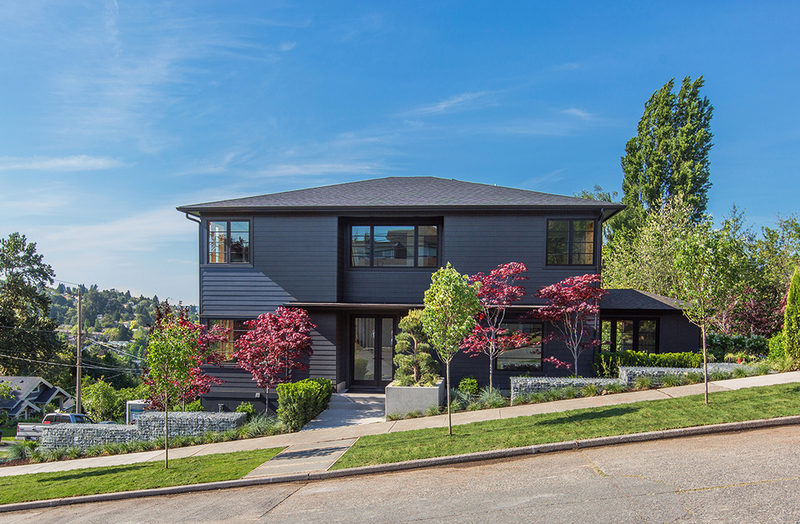 Set on a spectacular and expansive SW corner lot, this “modern four-square” is light, airy and perfectly suited for today’s lifestyles. 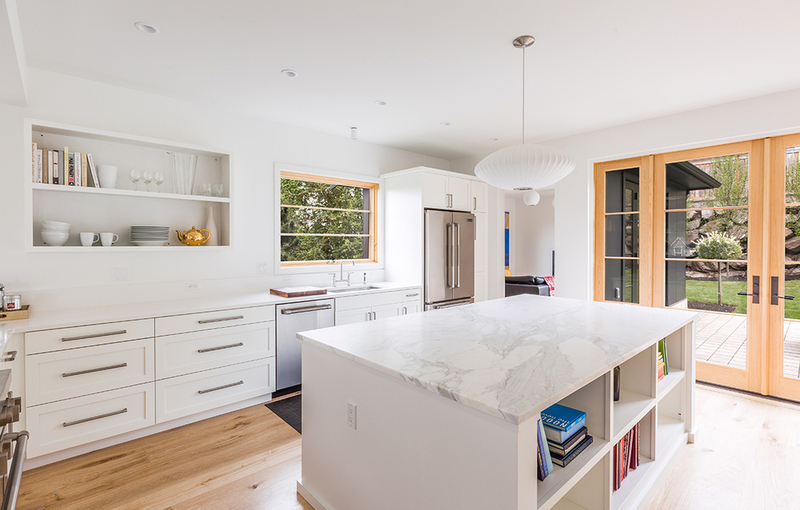 The open floorplan on the main floor features a gorgeous kitchen with 8’ Calacatta marble island, stainless appliances and gas range, a bonus/flex room just off the kitchen, a living room and dining room. 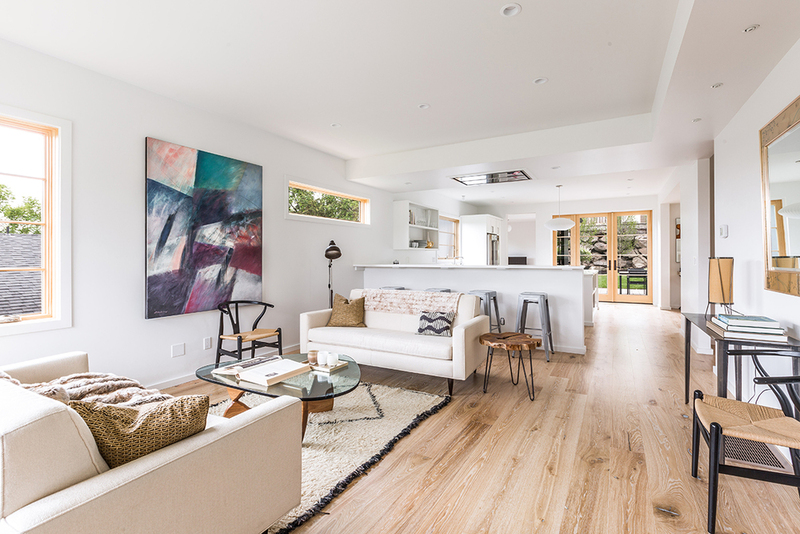 When the three pairs of huge French doors are opened, the main level connects to the spacious patio and lush gardens – a private oasis of luxurious indoor/outdoor cohesion. The main floor bedroom with three-quarter bath, just off the entry hall, can double as a den/office/guest room. 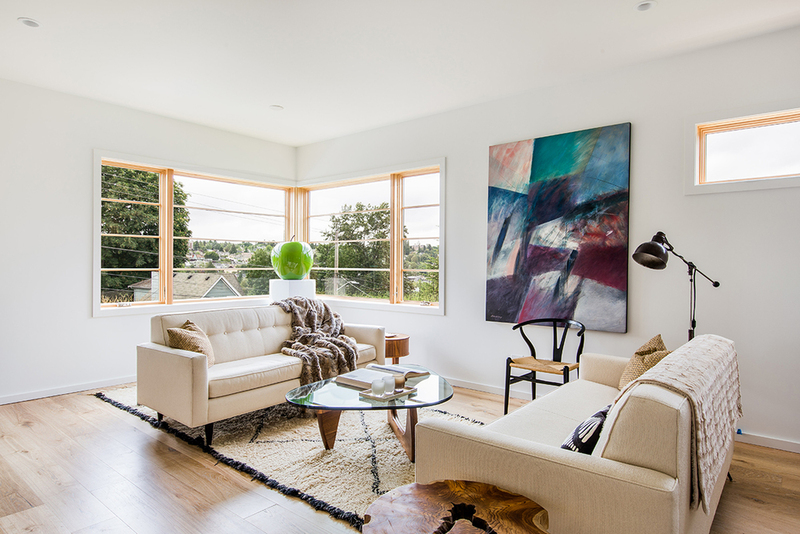 Upstairs, the dreamy master suite has sweeping views of Capitol Hill to the University of Washington. 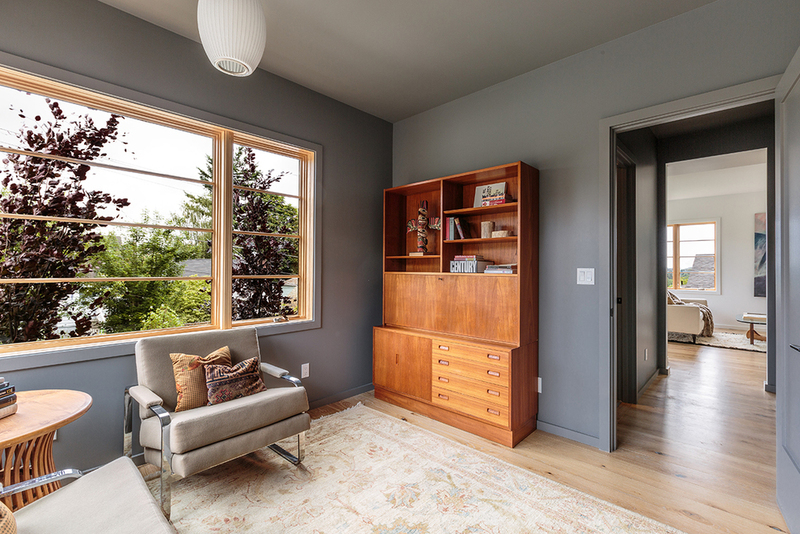 This peaceful retreat provides a generous walk-in closet, built-in dresser and a sitting area to enjoy the view. The ensuite bath offers a soaking tub, rain shower, double sinks and heated floors. Two additional sunny bedrooms with corner windows share another full bath, complete with additional washer and dryer. The open library/office off the stairway landing, bathed in south-facing light, rounds out this airy second level. 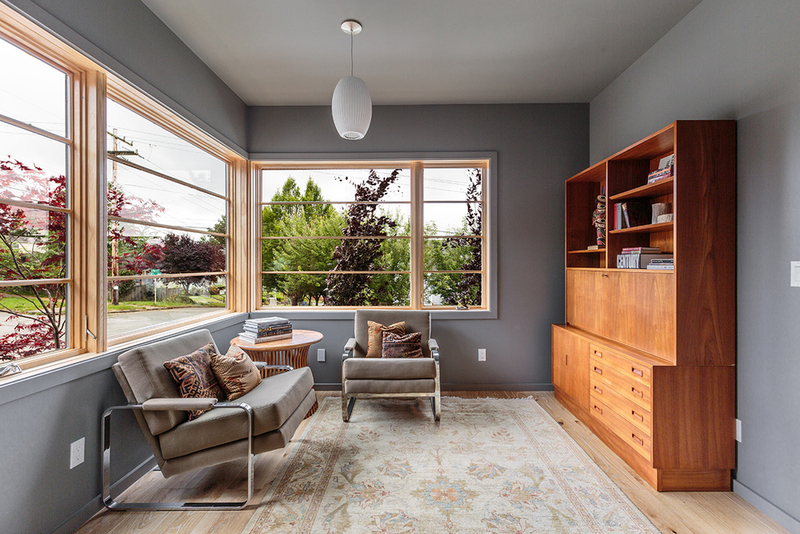 Plentiful windows maximize natural light throughout. Finishes and fixtures are clean and refined. 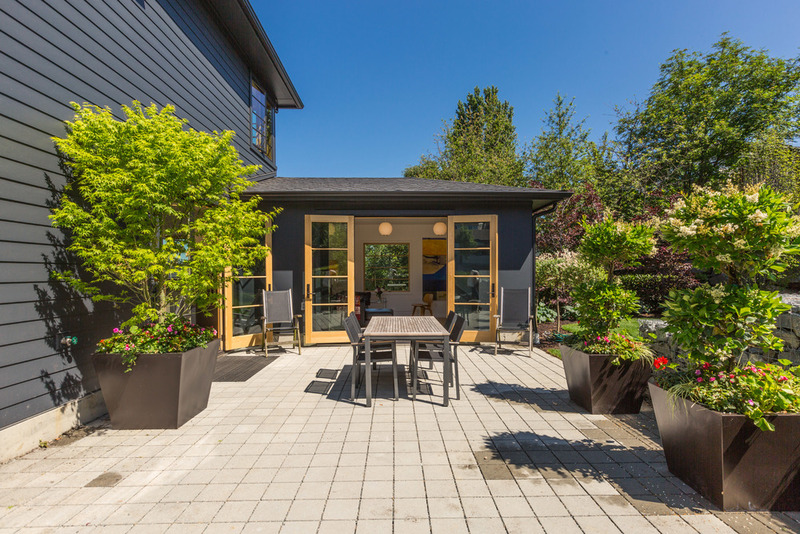 A short walk to the vibrant neighborhood shops and cafes of Madrona provide an additional bonus to this home’s sophisticated and welcoming charm.